What's New: Dior and Sephora Collection | Top Beauty Blog in the Philippines covering Makeup Reviews, Swatches, Skincare and More! Three new great and exiting products from Dior Beauty and Sephora Collection worth giving a try . . .
Dior Diorshow Colour and Contour Eyeshadow and Liner Duo $33.00 - Explore the art of contouring the eyes with the Diorshow Colour & Contour Eyeshadow & Liner Duo. Featuring five waterproof shadow-liner duos with five color combinations to intensify the eyes, this double-ended pencil glides on eye shadow with an iridescent finish to shade the lids in shimmering tones, and a highly pigmented liner to rim lashes with bold lines. 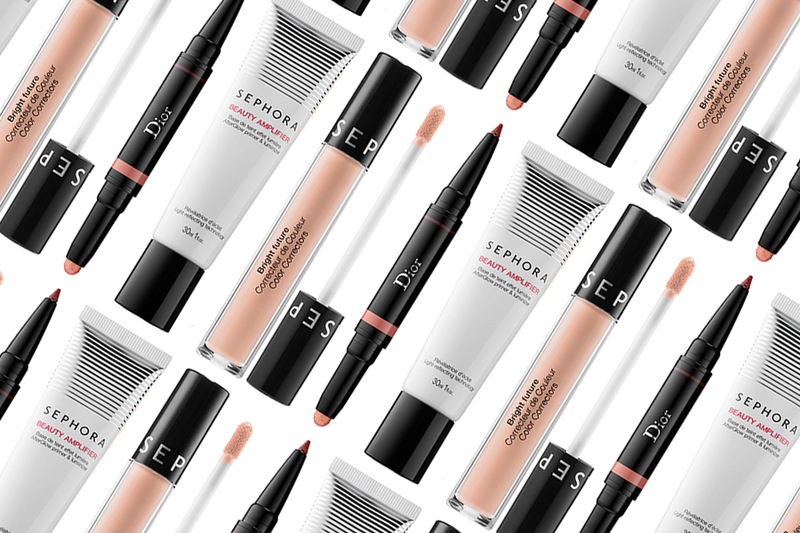 Sephora Collection Bright Future Color Correctors $14.00 - Ideal for the under eye area, blemishes, and areas around the nose and mouth, these gel-serum color correctors are feather light and buildable depending on your concern. Pineapple ceramide helps to improve the appearance of skin texture and add brightness, while the cotton swab-like applicator provides the perfect amount of product every time. Just dip, dot, and blend to neutralize before you conceal. Sephora Collection Beauty Amplifier Afterglow Primer & Luminizer $16.00 - This multipurpose luminizing formula is infused with light reflecting pearls. It creates a flawless canvas for makeup application and extends the wear of your look, but can also be mixed with foundations and moisturizers for an allover glow. It can also be worn over makeup as a luminizer/strobing product. Voglio provarli anche io questi nuovi prodotti! Great brand and interesting products! I have to admit that I'm a Dior addicted and I always go to sephora to buy my beauty products. So this article is perfect for me. Honestly I'm in love with everything from Sephora, my favourite shop for beauty! Thank you for sharing this wonderful post! Sephora colour correctors are amazing! I love them!